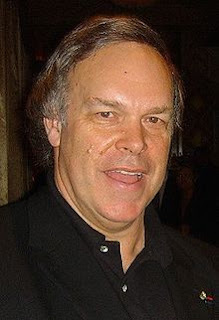 Yesterday was Robert Parker's 65th birthday. He spent it in Spain, drinking rosé, which isn't what his detractors would expect. But Parker has been his own man for almost his entire adult life, and I want to take a moment to celebrate that great life in wine. "Robert Parker is not only the most powerful critic in the history of wine, but arguably the most powerful critic in any field in his era, with the ability to make the fortunes of obscure wineries overnight with just a paragraph in his newsletter. One could make an argument for his election to the Vintners Hall of Fame based on this fact alone: if Parker is not famous, who is? But Parker, on the whole, has also been a tremendous, long-standing booster of California wine and his attention has been unquestionably a boon for the California wine industry. Contemporary wine writers enjoy criticizing Parker's personal taste for ripe wines. But 25 years ago, his criticism of California wines that were poor attempts to copy French styles helped the entire industry improve its appeal. Unlike other critics, Parker would not politely ignore badly made wines from big name wineries. His single-minded focus on the taste of wines rewarded wineries that improved their hygiene and technology. Parker has always been a champion of small wineries, and his tendency against holding one region above another has helped California wines to compete on the world stage. In a field where many critics work on both sides of the business, his personal ethics have withstood years of intense scrutiny. Powerful, fair and honest: whether you agree with his personal taste or not, Robert Parker has been a truly great critic and an undeniably net positive influence on California wine." That's just about California wine, but you could say the same about every region of the world which Parker visited, spending his own money, to taste, review and extol wines by wineries that few had ever heard of. To really appreciate Parker, consider the kinds of wines that were being made in Bordeaux before he started -- and the way the wine press wrote about them. Even some of the great houses had lackadaisacal practices, because nobody was holding them accountable. Good wines only happened in good years; in bad years, everybody sold, bought and drank mediocre or worse wine, without thinking that the whole system could be different. Wine writing then was tautological and off-putting to anyone outside the trade. A typical review might read, "This is a fine Latour, as good as the '70 and nearing the heights of the '61." Whatever that means. Nobody bothered to review cheaper wines. You had to pay somebody to study wine. If you lived in London or Manhattan, maybe you could sample wines from around the world. Elsewhere, if you had money, you drank Bordeaux and Champagne. If not, you drank cheap reds with no information about them, and if you were lucky they weren't oxidized or spoiled. Or you drank wine coolers or Boone's Farm. And you wonder why those were popular: because Gallo at least had predictably good hygiene. I woke up Monday morning, Parker's birthday, to yet another tiresome Twitter argument about how the 100-point scale is bad for wine. Give it a little historical perspective. Before the 100-point scale, you had Grand Cru vineyards and wines from everywhere else. A wine from Chile or New Zealand simply wouldn't be considered fine enough for quality restaurants. The 100-point scale, and the potential to be judged not by who they are, but by what they made, gave wineries worldwide a goal to strive for and the opportunity to succeed if they reached it. If you like having Greek white wines and Austrian reds and bubblies from Franciacorta on your local wine list, you can thank Robert Parker -- whether he likes those specific wines or not. The open-minded philosophy that rules the trendiest wine lists today is one of his legacies. Robert Parker didn't study wine initially and didn't let anyone tell him how he should feel about wine. He followed his nose and his palate, exactly what hip sommeliers suggest today. He built his business from scratch, initially selling a small newsletter. He became the world's most powerful critic not through connections or a big pulpit like a major newspaper or magazine, but through his own hard work. He's pulling back from his responsibilities, as a man of his age should, and ceding the stage to a new generation of writers who have absorbed his philosophies without always acknowledging their source. Many people today say that there will never be another Robert Parker. In part, that's because of the Internet and the diffusion of power to many different outlets. But it's also because Robert M. Parker Jr. is a great man, a giant of the wine industry. Happy Birthday, Mr. Parker. I give your career, hmm, 98 points. W. Blake Gray is Chairman of the Electoral College of the Vintners Hall of Fame. Agree 100%! Great post, Blake. A fitting tribute, Blake. We all owe a lot to Mr. Parker. I remember those pre-Parker days quite well because I worked in the biz in Marin County: We had a wonderful time drinking Heitz Martha's and BV Private Reserve, Ridge Zinfandels (and the dawn of Amador), Joe Swan Pinots, the first Cakebread chards and the first Chandon CA bubbly. I think you underestimate the quality of those early days. Patrick: Those were undoubtedly some great wines. But your key phrase here is that you worked in the biz; you knew what to buy. Parker wrote for those who didn't. Before Parker we had Finnegan and as i recall before that we had Joel Peterson's father. I say yea to parker in the VHOF and there should be statues to him, Spurrier and Harry Waugh in the Napa valley. Have I missed the annual VHOF argument?? Did Joe Swan get in yet?? B Williams?? Chuck Ortman?? Mel: The time to argue is NOW! Voting ends Labor Day. But none of those three are in yet, and they're not on the ballot this year either. You're going to have to pound the drums for them with a nice convincing public argument. Blake, that was easily the best and most convincing argument in support of Parker and the modern world of wine he helped create, that I have ever read, anywhere. I recognize the downsides of the 100 point scale, but agree with you, we are much better off today thanks to Parker.